This is where creativity is unleashed! 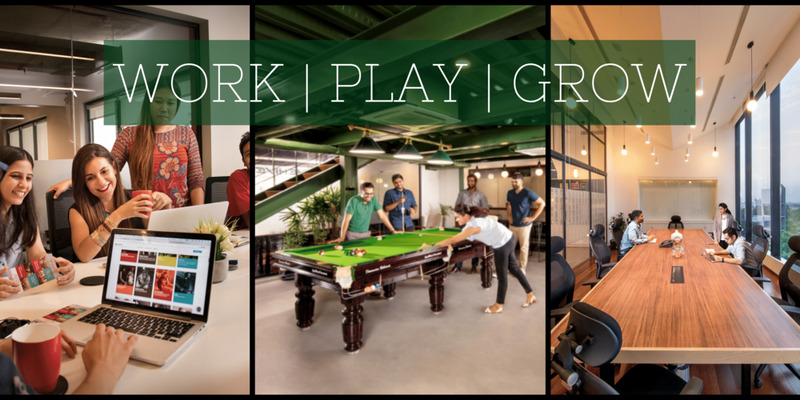 Designed as an ecosystem to nurture and grow the next generation of businesses, The Hive is a pan-India chain of premier collaborative workspaces - shared & private offices and associated amenities. With quickly blurring lines between personal, social, and professional lives, The Hive offers seamless access to state-of-the-art retail, hospitality, entertainment and F&B experiences to the creative professionals and emerging enterprises. *Pricing varies by location. Please select your city above for the pricing plans. The Hive is driven by the eclectic mix of companies that thrive and prosper under the same roof. Here’s a sub set of companies that trust us. Book Today! Contact Us Now.